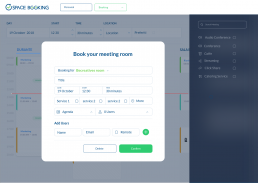 Space Booking is an integrated work space management solution that fulfills the needs of booking, monitoring and management of collaborative spaces. Setup your spaces based on capacity, technology and services and book the most correct resource based on your needs. 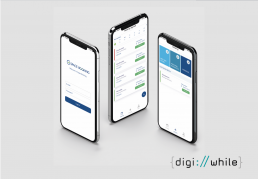 Control the real usage and optimize spaces with policy models available on the system like self-service, check-in required (PIN code or badge NFC) or approver. Resource reservation can be easily done via web browser. Find and book the right resource you need thanks to assistant feature embeedded. Authentication supported: Microsoft Active Directory, SSO ADFS. Bookings can be made with a few simple steps through Microsoft Outlook thanks to the dedicated Exchange connector. Synchronization is bidirectional in order to let you manage bookings from space booking web portal and outlook at the same time. You can also use our Space Booking Plugin for Outlook to improve your booking experience. Microsoft Exchange supported: 2010, 2013, 2016 and O365. Bookings can be made directly via Google Suite Calendar with our Space Booking Google connector. Dual mode synchronization available. Google supported: Google Suite Business. Access to your reservation or find and book a new space directly from your smartphone. 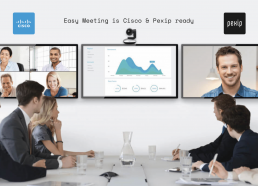 Take room control and video conference room startup are features available that you can introduce in your company to improve end user experience. Device supported: iOS and Android. Space Booking is the most flexible platform of shared resource bookings. You can extend your booking experience in car, parking or other devices. Just setup resources on the application and you could share them among the employees. 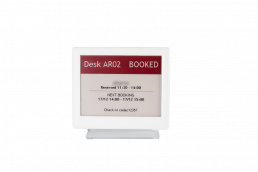 10’’ out of door touch displays shows status of meeting rooms and enables end users interaction. Optional: wall and glass mount kit, NFC reader. You can extend easily your room automation touch controls with new room booking features thanks to Space Booking API available for developers. Electronic labels 4.2’’ positioned on desks enable showing of current and future booking status. Easy to install because they don’t require any cables thanks to internal battery power (duration 3-4 years). 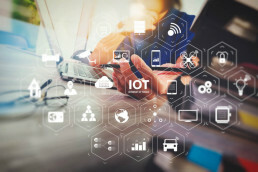 They are connected with ZigBee technology to proprietary distribuited gateways. 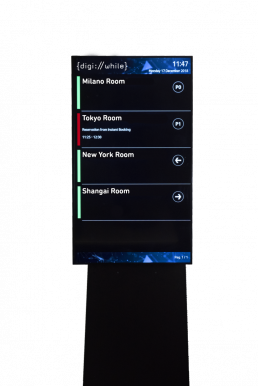 Perfect for break areas, reception and elevator lobbies, they allow the instant visualization of meeting room usage and locating the nearest available one. 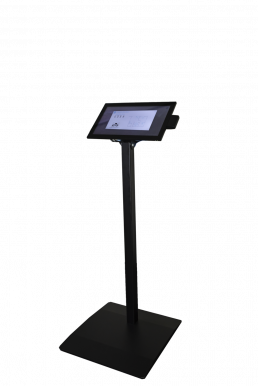 Interactive kiosk is a device to find and book meeting rooms and desks in a shared area. It includes map & photo to guide users in choosing the right resource needed. Application includes a set of available reports that provide all information about booking and real usage of all spaces. This is usefull tool for facility managers who adopt continuous improvement process. Module of billing management enable cost management based on number of partecipants, rooms and services. Usefull features in case of rental or internal costs control. This module enables a customer satisfaction survey focused on collecting employees feedback and suggestions.